Antibiotics: Are they curing us or killing us? For anyone reeling from this recent, shocking statement from WHO, Dr John McKenna is here to help. 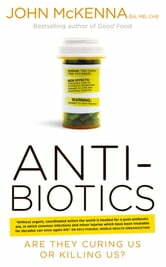 There is no doubt that there is a massive overuse of antibiotics. This book is for anyone who wants to do something about it. The senseless over-prescription and misuse of antibiotics has rendered them almost useless, posing a catastrophic threat to our health. Superbugs are making hospitals increasingly dangerous places to seek help and experts predict we will soon regress to a time when simple infections and medical procedures threaten our lives once again. Dr McKenna, a retired medical doctor who has been practising natural medicine for over 25 years with astonishing results, examines the issues at play. He reveals the truth about the pills your doctor prescribes you and details the often unknown side effects they can have. ANTI-biotics has all the information you need to take your health into your own hands. You will learn how to recognise when antibiotics are hindering you instead of helping you, and discover natural alternatives to restore your health and strengthen your immune system. Through a number of case histories, Dr McKenna shows the effects of MRSA, C. Difficile, TB, E. Coli and other infections that have developed antibiotic resistance. He explains, in layman’s terms, the science of how different antibiotics affect different parts of the immune system. His advice will help you take control of your health with practical tips to boost your immunity and to avoid misusing antibiotics. 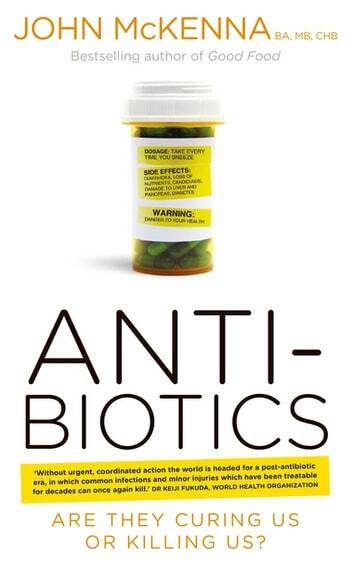 Livres similaires à Antibiotics – Are They Curing Us or Killing Us? Quick and Permanent Cure for Herpes: Natural Herpes Remedies That Proven to Destroy the Herpes Virus! Anatomy and Physiology "The digestive system and nutrition"
Aloe Vera and Aloe Arborescens: How to Grow, Care for and Use your Medicinal Plants for Better Health! What's Up With Your Gut? Your Immune System: Are you taking care of it?